What is tempering chocolate anyway? At Boncora Biscotti, the chocolate that Bonnie uses to make her chocolate-dipped biscotti is tempered. 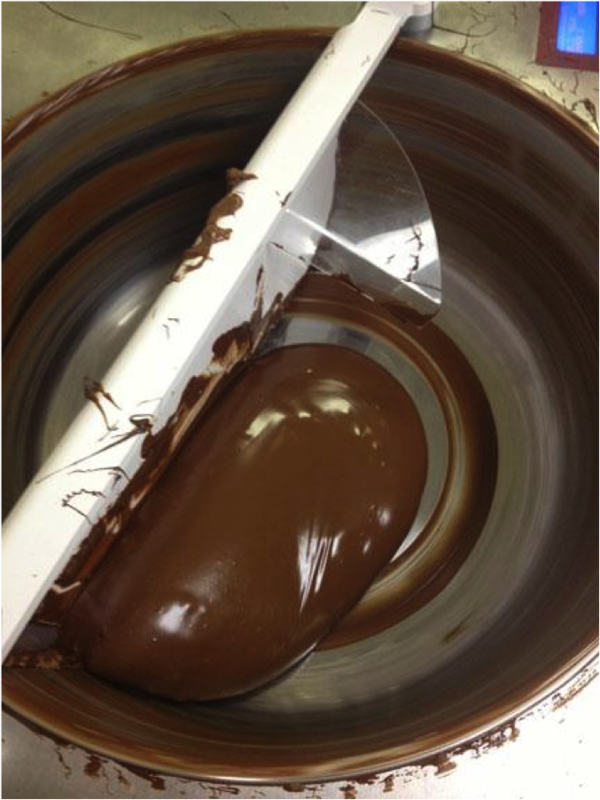 Tempering means improving the consistency, durability or hardness of a substance by heating and cooling it. Tempering is done by melting solid chocolate to a temperature high enough that the crystals in the cocoa butter break down. This temperature is between 110-120F. Once the chocolate is fully melted, it must be cooled to about 82F, a temperature at which crystals will start to form again so that the chocolate can eventually re-solidify. The chocolate’s temperature is then raised back to about 90F, where it is very fluid and can be poured into chocolate molds and used for other applications, like dipping biscotti. The crystals that start to form when the chocolate is cool are stable crystals contained in the cocoa butter of chocolate. They provide the necessary structure for the chocolate to become shiny, smooth and have a good “snap” when it is set.